People with skills to make every game bigger and better. 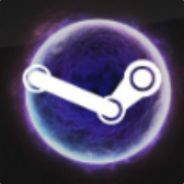 Hey there, we are gathering all workshop publishers to one group. We hope that you join! This is closed group, only administrators can send invites to other people. Suggest any publishers and modders to us, we add them. Happy Christmas for all our fellow modders! Do you know any modders? Suggest them us, we invite them! "Best Games with active modding community, our group members makes every game bigger and better!"